We all know that UNILAG are in their second semester, this implies that their screening form will be out soon. But before then, you need to know the process of how it was done last year. It might change this year but that's still under maybe. 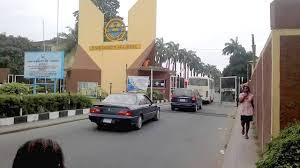 You also need to know the eligibility for admission into UNILAG, so as not to cost you your admission. I know of someone who was disqualified just because of the age limit, i know you dont want that, huh? Note: This post is based on last year mode of application, like i said earlier in the post, it might change this year. You have questions to ask? You can do that by using the comment box. You can also use the "share" link below to share to your friends on facebook. Thanks. 0 Response to "See UNILAG screening mode of application "